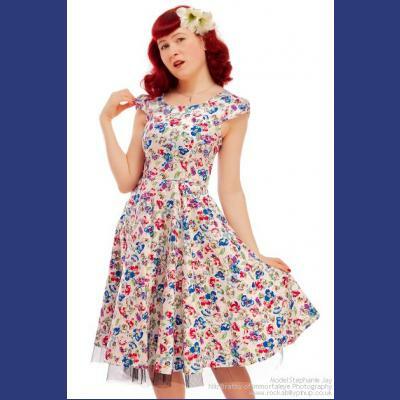 This vintage-style swing summer dress by Hearts and Roses is made from a good quality stretch cotton with a mixed spring floral print. 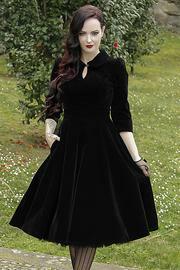 The bodice is fitting with a rounded neckline and concealed side zip. 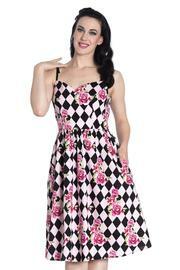 The rockabilly swing dress has petal cap sleeves (a 2 piece sleeve that overlap to form a petal shape). 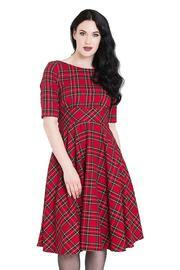 The skirt flares from waist to knee, measuring 25 inches. There is an inner white cotton skirt with black mesh trim which is visible beneath the outer skirt. 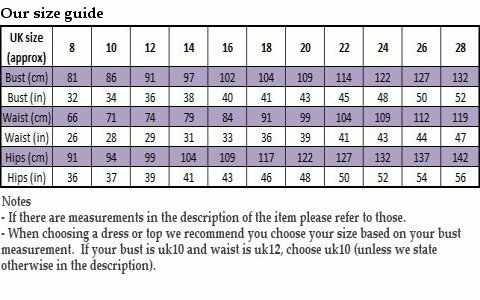 Fabric: 97% cotton, 3% elastic. Machine washable. Model Stephanie Jay, Nils Bratby of Immortaleye Photography.